I’ve been drawing again. 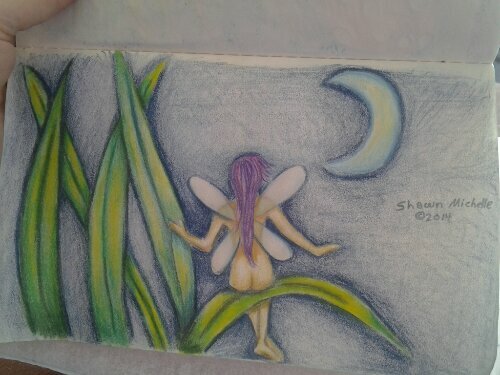 This little fairy was done with prisma pencils, and the woman’s face was done with copic markers. These are three new marker colours I got with piggy bank change (I just love my piggy bank change) I thought it would be fun to carry three or four colors around with me to do tonal work. 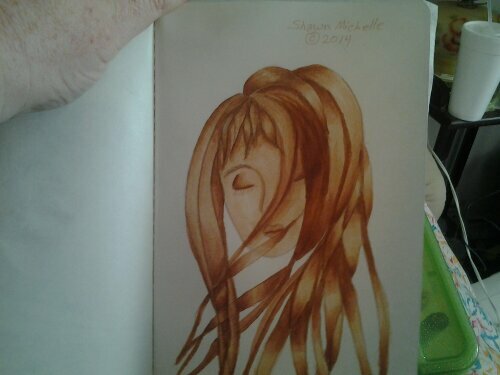 These are the same colors that copic sells with there sepia set for just that purpose. I liked the colors, but I didn’t want everything that came in the set… Or rather I didn’t want to PAY for everything they have in the set. So… I just bought the pieces I actually wanted.The markers are… Sepia E37, Sand E33, and Brick Beige E31. If any of you are interested.